After capturing renegade wizard Glasstaff from a Hobgoblin camp, the party infiltrates the goblin tribe hideout at Cragmaw Castle. Watch our sessions live on my YouTube channel every Sunday night beginning at 9:30pm Central. Subscribe and catch up on previous episodes! For the 2nd week in a row a single spell renders a combat encounter completely moot. The fact that my poor NPCs get no Saving Throw is very irksome. Especially since the wizard can scale up its power by expending a higher spell slot. Sleeping a group of foes has become my players’ de facto strategy, and it’s annoyingly effective. Anyway, this week the party finally traveled to Cragmaw Castle. First, however, I wanted to insert a dangling thread from earlier in the adventure. The Redbrand leader, Glasstaff, AKA Iarno Albrek, had escaped their clutches, and had been on the run ever since. The party takes on a band of orcs and their giant ogre ally in the mountainous crag of Wyvern Tor. Important Programming Note: Due to a player on vacation, our session next week will be on Monday, December 14. Thus, look for the video and recap on Tuesday the 15th! We come to the last leg of our side quest sojourn in the mountainous crag of Wyvern Tor. A band of orcs have taken up residence inside a roomy cave, harassing travelers along the Triboar Trail. The townmaster of Phandalin had put up a 100gp reward for their elimination, and my players were eager to kill some orcs. In exploring Old Owl Well the party runs afoul of a giant horde of zombies, and a necromancer from Talus’ past. A horde of zombie approaches – roll for initiative! My players are nothing if not methodical. After dealing with Agatha at Conyberry at the end of last week’s session, they traveled South toward Old Owl Well to clean up their quest log. They had learned that the area has been seen crawling with undead, and were tasked with discovering what was going on. The party battles a dragon and survives, then travels across the Neverwinter Wood to speak with an Elvish banshee. 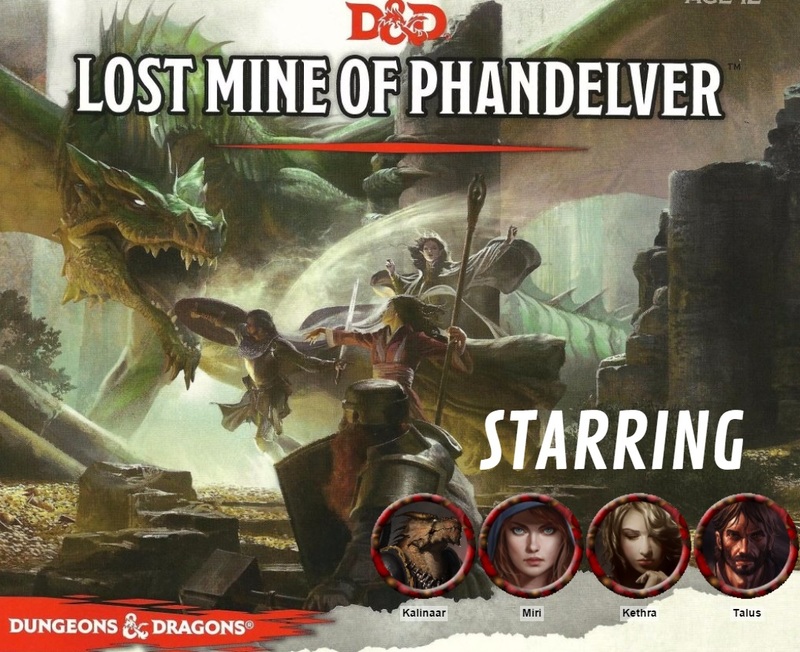 Our adventure, “The Lost Mine of Phandelver,” includes a rather powerful, and optional, foe – a young green dragon. Even a young dragon is a nearly insurmountable obstacle for a party of 3rd or 4th level heroes. I think that Wizards of the Coast felt compelled to include at least one dragon in their starter adventure, possibly as an example that some foes might just be too strong to tackle. My players were not overly fond of having a super powerful enemy on the board, however. Since they’d left the cultists in Thundertree alive I devised a role-playing scene between the cultists, dragon, and players to try and make the encounter a bit more interesting (the adventure gives me nothing for the dragon other than a name). The party clears out the Eastern half of Thundertree, meets some cultists, and decides how to handle the resident dragon. As I anticipated this session was much like last week’s. The PCs explored the Eastern half of the ruined town, going building to building and fighting more twig blights and ash zombies. Dare I say it might have gotten a tad repetitive, and I should’ve found a way to spice up a few of the battles and scenarios. This was a war of attrition, as the PCs couldn’t take a Long Rest during the druid’s cleansing ritual. They took their second Short Rest after a small zombie fight, then found themselves nearly overwhelmed by the half dozen zombies in the barracks to the North. I also finally hit a string of good rolls with another twig blight ambush, scoring high rolls for surprise and initiative, as well as nailing most of my attacks during the first round. The Paladin was forced to drink a potion, and both he and the monk had to use their final hit dice during the Short Rest. The party cleaves a path through the Western half of Thundertree’s denizens of blights, zombies, and giant spiders. Time for another session of pure hack and slashery! The dungeons included in “Lost Mine of Phandelver” are lengthy enough that they often take us two to three sessions to get through (our sessions are aprox. 2-3 hours). It was no different here as the party took out the entire Western half of Thundertree – four combat encounters. We had yet to explore the concept of an outdoor dungeon, so Thundertree was a fun change of place. It’s a bit trickier from a DM point of view, however, as the PCs have more freedom of movement. I am also still new to using Dynamic Lighting in Roll20, being a recent subscriber. I ended up using a combination of Dynamic Lighting with buildings and trees along with Fog of War to hide areas in the distance until the party got closer. It worked pretty well, and my players delighted at being able to suss out line of sight by themselves, as well as communicating to each other number of foes inside a building. Limited options and connectivity issues sour the online cooperative and DM experiences, despite a well-crafted single-player campaign. Despite Dungeons and Dragons‘ recent renaissance, we’ve yet to receive a proper, officially licensed D&D video game since Neverwinter Nights 2 in 2006. The ’80s, ’90s, and early 2000s were replete with fantastic D&D-style role-playing games that helped define the genre in video games. 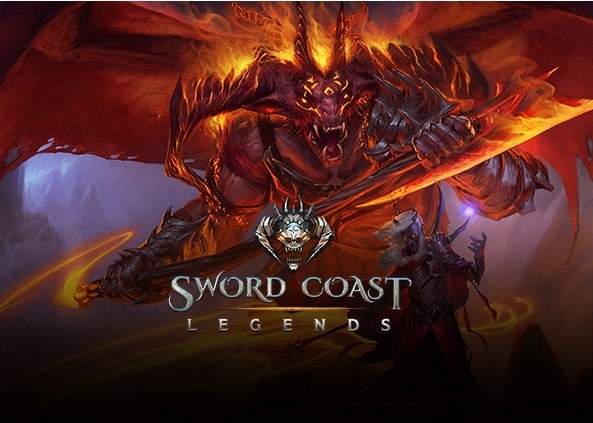 So, developer N-Space had a lot to live up to with Sword Coast Legends. Though it had high potential, the current offering is a disappointing example of oversimplification. Sword Coast Legends’ main selling point is the ability for one player to act as a live Dungeon Master. The Dungeon Master runs randomized dungeon modules or a custom-created campaign for up to four players. It’s an intriguing concept. It’s frankly astonishing that we haven’t seen a D&D game attempt before.